Itap Europress pressure reducing valve is a device which reduces and stabilizes the upstream pressure to an adjusted downstream pressure. 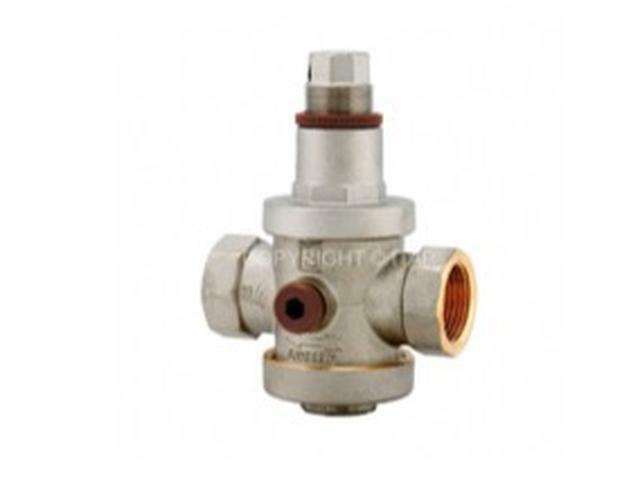 When the entering pressure from the public mains is too high and variable, pressure reducing valve stabilizes the downstream pressure to the adjusted one. 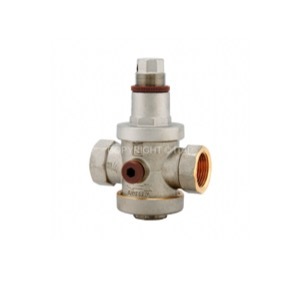 Pressure reducing valves are suitable for domestic water services, heating and air-conditioning plants, compressed air systems.They can be used with water, compressed air and no-aggressive fluids. Compensated piston operation. Female/female threads. Body in nickel-plated brass. Minimum and maximum working temperatures: 0°C, 80°C. Maximum inlet pressure: 25bar. Outlet pressure can be adjusted between 1 and 6 bar. Factory pre adjustment 3 bar. Outlet pressure gauge connection 1/4” on both sides. Threads ISO228 (equivalent to DIN EN ISO 228 and BS EN ISO 228).